There are many unique and beautiful items to choose from in the catalog. Each item benefits the people that made them, and people in need all around the world. 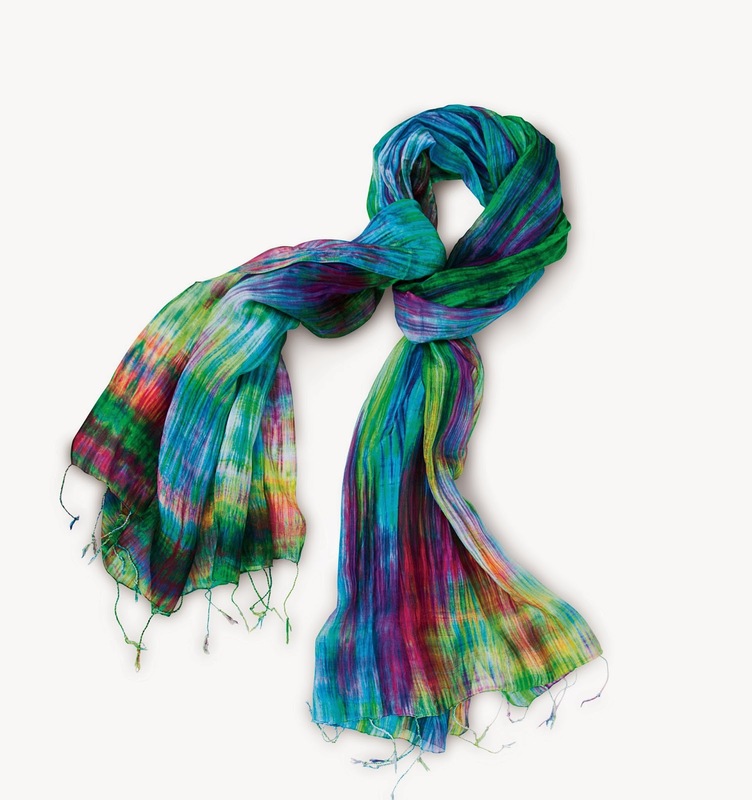 The Royal Silk Scarf is a recent addition to the World Vision Catalog, this gorgeous silk scarf adds color to the holidays and supports the needs of children and families worldwide, including those in the community where it was crafted; the luxurious silk was woven by Vietnam’s Ma Chau villagers, who receive fair wages & sustainable income through their craft. I really like this scarf. It is so pretty, and it feels nice on. The scarf that I received is a slightly different color. It has more purple and blue with a touch of green. Because it is handmade, each one will vary slightly. This makes it an even more treasured item because I know no one else has a scarf like mine. If you're looking for a way to make a difference while still getting your holiday shopping list done, consider shopping the World Vision catalog. Even if World Vision isn't right for you, I encourage you to find ways for you and your family to give back to the community. If you're looking for some ideas, here's 7 Easy Ways To Start A Giving Back Tradition. Starting a giving back tradition is a great way to make the holiday season more meaningful. If you want to win a Royal Silk Scarf of your own, enter below. disclosure: I received the scarf for free in exchange for hosting this giveaway. No other compensation was provided. All opinions expressed are my own. I like the wooden twisted spoons. I give back backing by donating goods to charity. The scarf is beautiful, and World Vision is a great organization. Thanks for this opportunity. Yes, we have always volunteered by serving community meals and doanting from both our garden and pantry all year long, Giving rocks and is what life is really about. My mother does community service projects.